OPEC’s goal of draining the global inventory surplus has finally been achieved. The International Energy Agency said in its latest Oil Market Report that the supply overhang has pretty much vanished, thanks to OPEC’s efforts at limiting production. “It is not for us to declare on behalf of the Vienna agreement countries that it is ‘mission accomplished’, but if our outlook is accurate, it certainly looks very much like it,” the Paris-based energy agency wrote. 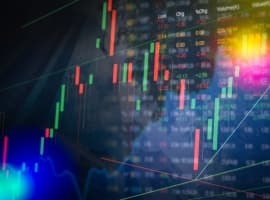 Market fundamentals are on a similar track compared to last month’s report. The IEA kept its oil demand forecast at 1.5 million barrels per day (mb/d), although it noted that the back-and-forth on trade tariffs between the U.S. and China puts the demand outlook at risk. For example, a 1 percent decline in global GDP growth would result in a reduction in demand growth by 690,000 bpd. 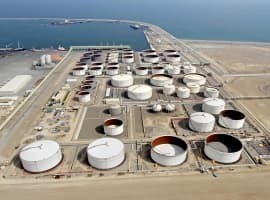 “Oil demand would suffer the direct impact of lower bunker consumption and lower inland transportation of traded goods, reducing fuel oil and diesel use,” the IEA said. Still, the negative effects of a trade war remain to be seen. The flip side of that is the unexpected production declines from OPEC. The IEA said that taken together, some 800,000 bpd of supply has been sidelined, dramatically bolstering the impact of the OPEC/non-OPEC cuts. “To all intents and purposes, more than a second Saudi Arabia has been added to the output agreement,” the agency wrote. 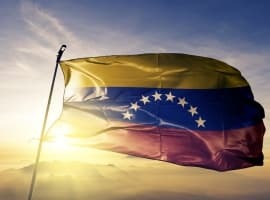 Sharp declines from Venezuela, in particular, are accentuating the agreement, helping to put OPEC’s compliance rate at 163 percent in March. The agreement is succeeding in balancing the oil market. “With just under half of global oil supply subject to restraint and oil demand growing steadily, the impact on stocks has been substantial,” the IEA said. Global inventories have plunged, with the surplus in the OECD falling to just 30 million barrels above the five-year average. At the same time, refined product stocks are actually below the five-year average. The IEA says that if output remains constant and the demand forecast lives up to expectations, the market could see inventories decline at a 0.6-mb/d pace for the rest of the year. The data on inventories is not perfect. OECD numbers are published on a two-month lag, providing the market only with a retrospective look at the state of play. Also, the inventory data in the non-OECD -which, at this point accounts for the bulk of demand growth – is notoriously opaque, which makes sweeping conclusions about the oil market tricky. With those caveats in mind, the IEA said the long-sought market “rebalancing” effort may have arrived. “With markets expected to tighten, it is possible that when we publish OECD stocks data in the next month or two they will have reached or even fallen below the five-year average target.” Related: Are Oil Markets Tightening Too Fast? Even as OPEC has apparently achieved its goal of draining surplus stocks, the group seems set on keeping the cuts in place through the rest of this year. That likely means it will formulate new criteria to justify ongoing cuts. “OPEC is within rapid reach of its first announced goals and will have to come up with a new metric for the June meeting if it wants the agreement to last into the second half of the year,” Olivier Jakob of Petromatrix told Reuters. The International Energy Agency (IEA) is not known for the accuracy of its projections or its figures. Its so-called research is politically-motivated focusing on hyping about US oil production particularly shale oil and global supply growth with the aim of depressing oil prices. That is why it has has lost all credibility. And while the global oil market is virtually re-balanced, I would not call OPEC’s & Russia’s mission accomplished since the OPEC/non-OPEC production cut agreement is here to stay well into the future to prevent glut ever returning to the market. The majority of OPEC members need an oil price above $100 to balance their budgets. Their objective should now focus on trying to achieve the highest oil price the global oil market can tolerate. To achieve that objective, a continuation of the production cut agreement is needed well into the future. If the current positive oil market fundamentals continue into 2020, OPEC will certainly achieve a price of $100 or even higher to the chagrin of the IEA.